Larsson, 20, is a 5'11" complete player with an offensive touch and grit to his game. Last season with the Rattlers, Gustav recorded 38 points (16g, 22a) in 22 games. Gustav battled injuries through the entire season, limiting his season to just 22 games. 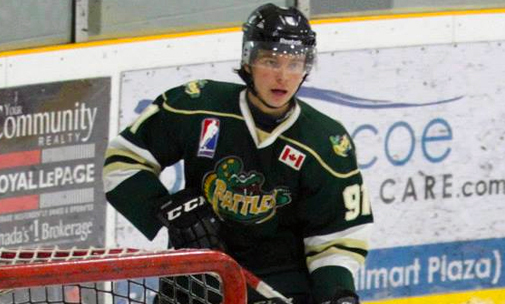 Larsson is expected to be a top player and leader for the Rattlers this season. Brunnberg, 19 , is a speedy goal scoring winger from Sweden. He notched 40 points (19g, 21a) in 30 games for the Rattlers in 2014-2015 after joining the club mid-season. During playoffs, Rasmus was arguably the Rattlers best player leading the club in playoff scoring with 4 goals in 5 games. Both Rasmus & Gustav were signed from the Rattlers' Swedish Junior & Pro Affiliate, the Haninge Anchors, and will develop here another season in preparation for the Anchors pro club.